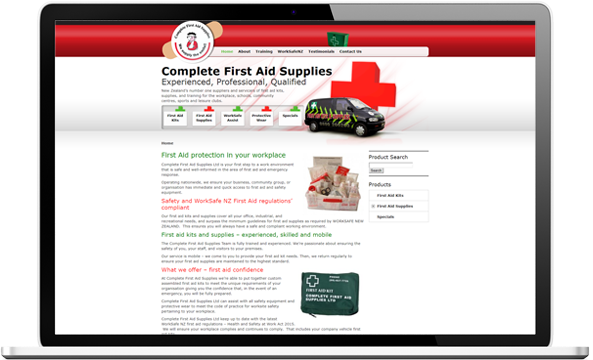 Complete First Aid Supplies were looking to get their website refreshed and upgraded to boost conversions. Equally important was improving the UX (user experience) on both mobile and desktop. The team at Web Revolution have been helping Shelley with her business’s website for years and were excited to work with her to give it a boost. 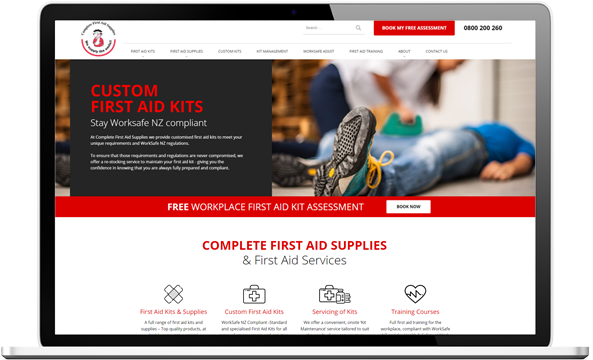 Complete First Aid Supplies wanted to increase awareness of their managed first aid kits and on-site replenishment services, a move away from their old product-centric website. 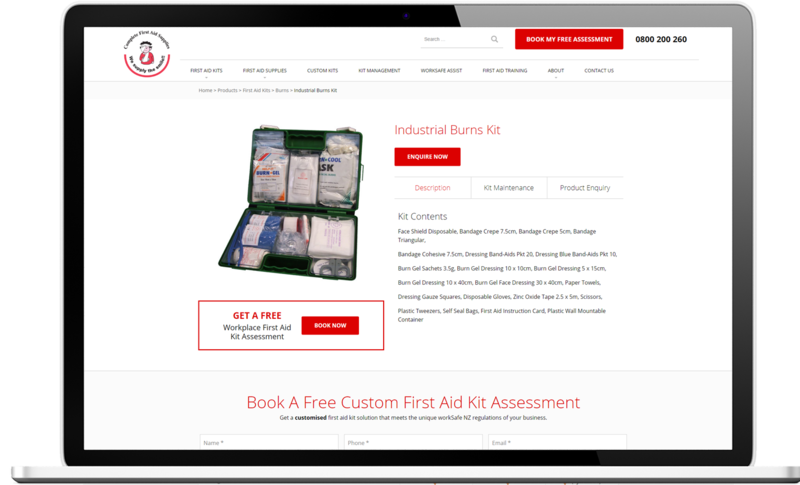 We reworked the site structure to include new pages focused on custom first aid kits and kit management, as well as introducing frequent Calls-To-Action and quick contact forms to increase engagement and enquiries. 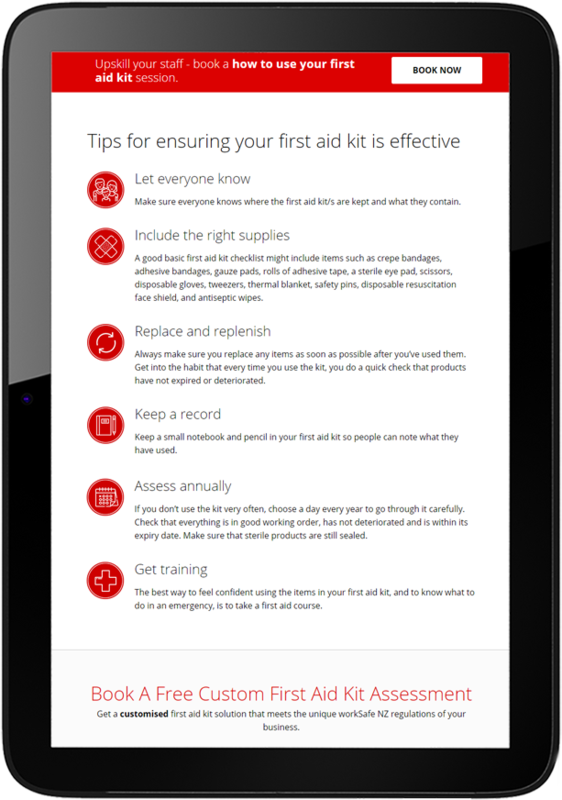 In addition, we added categories to help with their product navigation. The result is a new modern look that promotes the full range of their offering.